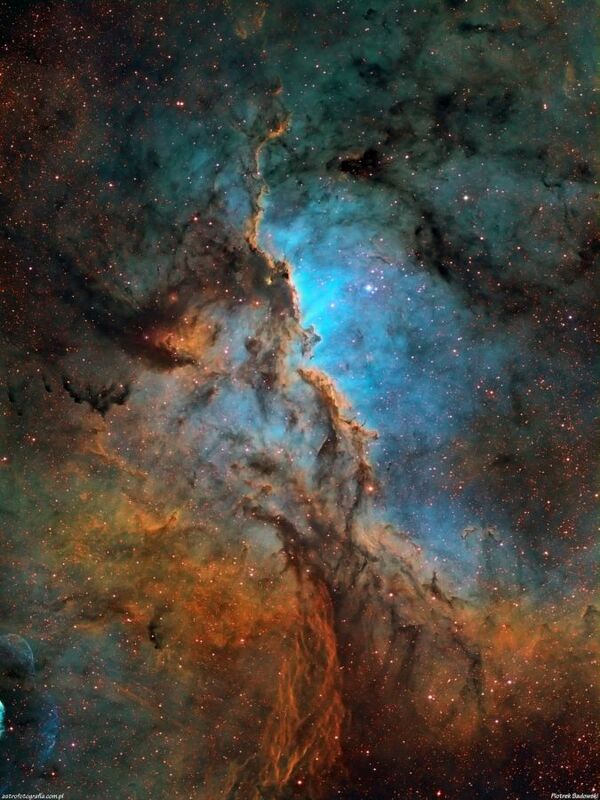 Here’s a beautiful image of NGC 6188. It’s amazing this no one has coined a term yet (maybe it’s your chance to suggest one!) but this stunning emission nebula is located in the constellation Ara. It’s still within our Milky Way located 4,000 light years away. The sculptures you see here in the cosmic gas are caused by young stars that are born and emitting intense ultraviolet radiation. NGC 6188 formed a few million years ago so it’s relatively young in the cosmic perspective. The colors here also represent different elements that emit different colors of light. Red is sulfur, green is hydrogen, and blue hues are oxygen atoms. Astronomers estimate that this image spans about 200 light years across! 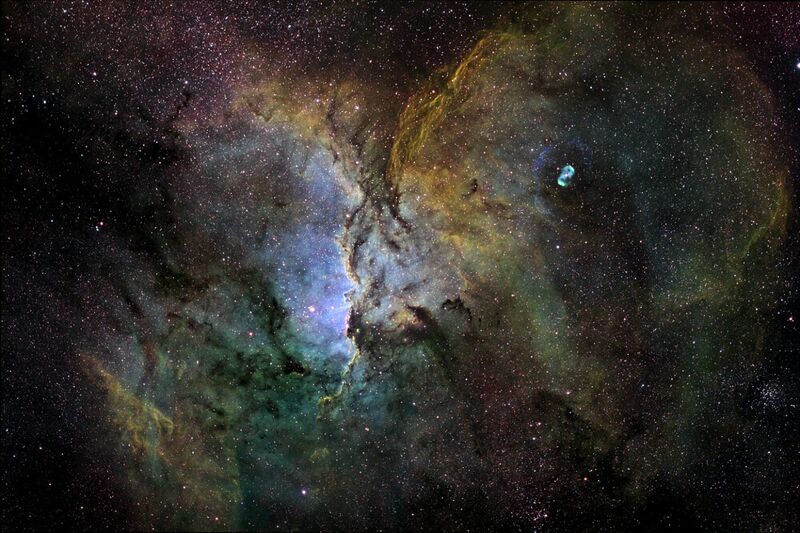 Here's a gorgeous image of the emission nebula NGC 6188.